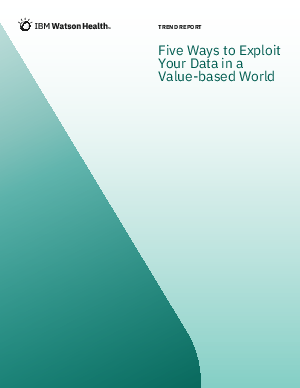 In the world of value-based healthcare, your data is the key to extracting the most actionable insights that provide real value to your organization. But getting to those insights can prove difficult, especially if you have to connect disparate data sources. You need transparency into key insights that can help your team make more informed decisions for the success of your organization. In this trend report, we explore five ways an analytics solution can help you transform your organization through the power of insight. From risk modeling to predictive analytics, utilizing the right mix of analytics can improve patient outcomes and ultimately move your organization closer to your ideal value-based care model.